Artistic impression of a sunset from Barnard’s star b courtesy of Martin Kornmesser/ESO. 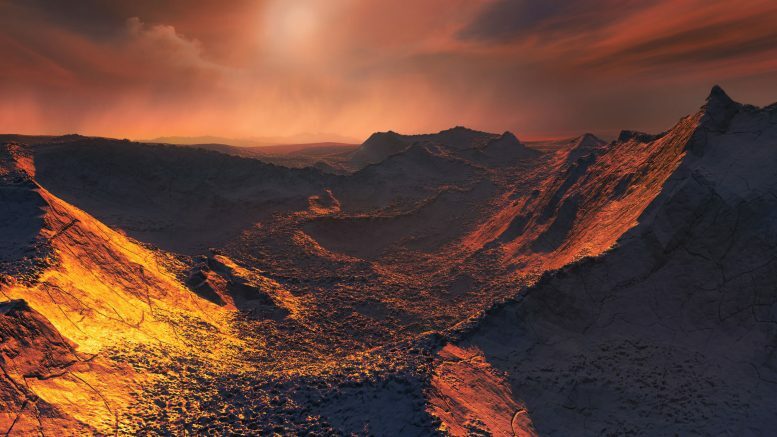 The planet, designated Barnard’s Star b, now steps in as the second-closest known exoplanet to Earth. The gathered data indicate that the planet could be a super-Earth, having a mass at least 3.2 times that of the Earth, which orbits its host star in roughly 233 days. Barnard’s Star, the planet’s host star, is a red dwarf, a cool, low-mass star, which only dimly illuminates this newly-discovered world. Light from Barnard’s Star provides its planet with only 2% of the energy the Earth receives from the Sun. 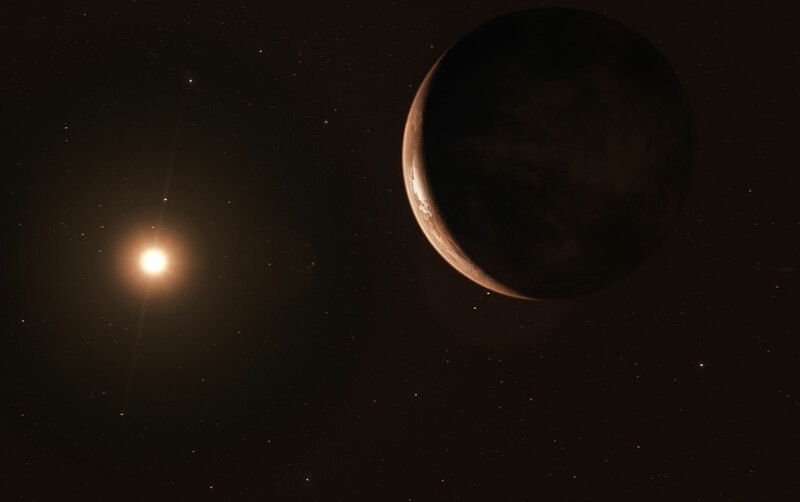 Be the first to comment on "Astronomers Discover Super-Earth Orbiting Barnard’s Star"